A new European Commission report has found most European film heritage institutions have not yet adapted to the digital revolution and are not yet able to preserve film digitally. Some of our current films are being lost to future generations forever, just like those of the silent era, where only 10% survived. At the same time films of the early digital era – because of formatting and interoperability issues – also risk being lost forever. New technologies open the door for people to enjoy one million hours of European film, currently locked away in cans in the archives. Yet only 1.5% of European film heritage is commercially or freely accessible to the public. European Commission Vice President Neelie Kroes said: "It is ridiculous that our film heritage is invisible in the 21st century. Culture is the heart of Europe, and film is at the heart of culture. I am determined to bring this film legacy online and will make a proposal in 2013 that helps Member States and stakeholders to join forces to get films online." Only 1.5% of European film heritage is digitised. Digitisation is a pre-condition for online access. Without it, films lovers will continue to miss out on the opportunities offered by the online world. This is not because of lack of interest. Two million films have been viewed on the EU-funded online platform "Europa Film Treasures" since 2009, for example. Current obstacles to digitisation include scarce national and private funding and the complexity of rights clearance (both time and money). Sweden and UK are considered to be examples of current best practice. The Commission considers that Member States should include film heritage in their national digitisation strategies and archival policies; one outcome of this should be greater film content on the Europeana portal. Innovative financing and collecting techniques need to be developed; for example, further research into scanning technologies for archival films could result in a reduction of digitisation costs. In addition, resources, facilities and skills for the preservation of both analogue and digital film need to be improved. The European Parliament and Council adopted a Film Heritage Recommendation on 16 November 2005. The first implementation report on the Film Heritage Recommendation was published in August 2008 and the second one in July 2010. This third report of 2012 analyses the reports received from Member States in reply to a Commission questionnaire and the national reports are available on line in English and in their original language. In January 2012, the Commission published a study on a "Digital Agenda for European Film Heritage", carried out by independent experts. The Commission adopted in October 2011 a Recommendation on the digitisation and online accessibility of cultural material and digital preservation. The Recommendation applies to Europe's cultural memory regardless of the format in which it is imbedded, including film heritage. The Commission will, as parallel actions, conduct a stakeholder dialogue on certain urgent copyright-related issues in 2013, including problems relative to the preservation and online availability of film heritage items, and assess whether to propose legislation in 2014 modernising the Directive 2001/29/EC on copyright in the information society, including on exceptions and limitations (see IP/12/1394 and MEMO/12/950). Strasbourg plenary session 10-13 December, a photo by European Parliament on Flickr. 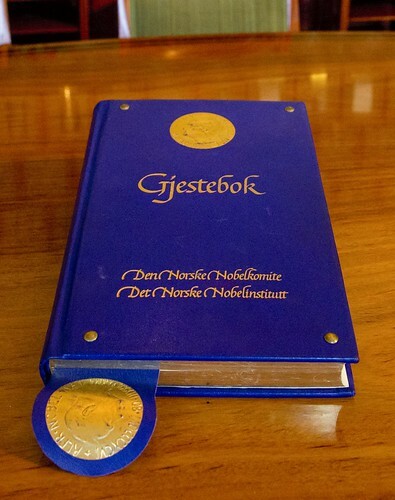 Nobel Prize Guestbook, a photo by European Parliament on Flickr. 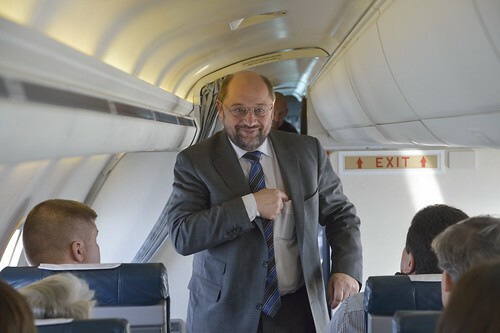 Parliament's President Martin Schulz went to Oslo for the official ceremony to award the Nobel Peace Prize to the European Union. 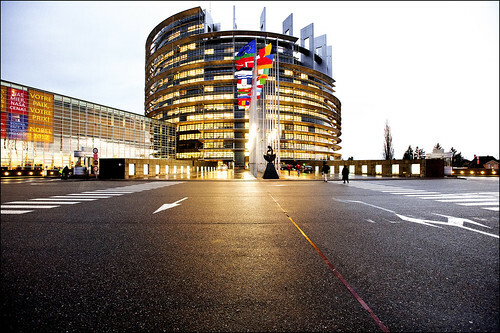 In Strasbourg and Brussels, live broadcasts of the ceremony, a photo exhibition, and a formal ceremony in the Strasbourg plenary chamber will mark the occasion. Many activities are also planned in EU capitals. Nobel Peace Prize ceremony in Oslo, a photo by European Parliament on Flickr. 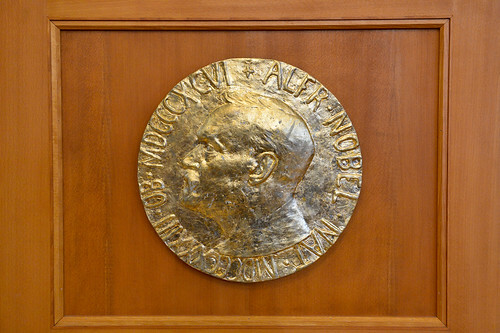 Nobel Prize Medal on display, a photo by European Parliament on Flickr. 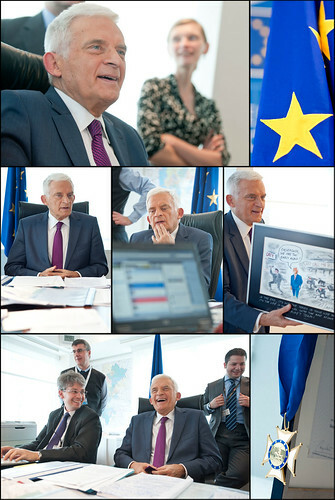 End of mandate Facebook chat with President Buzek, a photo by European Parliament on Flickr. President Buzek, what were the toughest moments during your presidency? JB:"The hardest moments include 2011 annual budget, reaching an agreement, full engagement to the MFF achieved for EP. Another challenge was the SWIFT negotiations to defend privacy of EU citizens - negotiations with US. " President Jerzy Buzek. 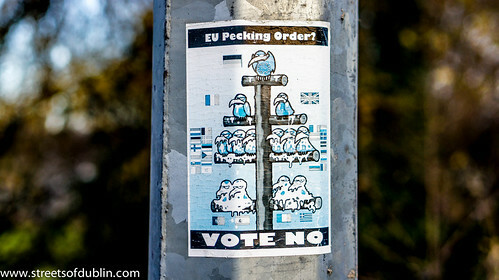 EU has got quite big economical problems. Why EU has decidet to affiliate new member - Croatia - the country which has got serious economical problems? JB:"Some Member States also have economic problems it is not unusual for Croatia alone. Croatia will be a reliable and efficient Member of the EU. I visited Crotia two months ago as well as in Serbia, Bosnia Herzogovina (Srebenica). "